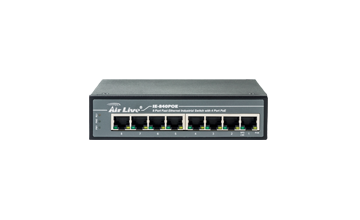 The IG-642POE is an Industrial 6-port full Gigabit Ethernet Switch providing non-blocking wire-speed performance and great flexibility for Gigabit Ethernet extension in harsh industrial environment. 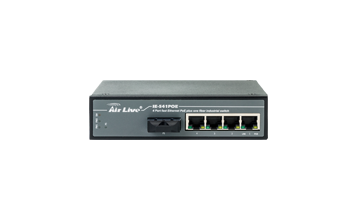 It provides 4-port Gigabit RJ-45 copper and 2 100/1000Base-X SFP fiber optic interfaces delivered in an IP31 rugged strong case with redundant power system. 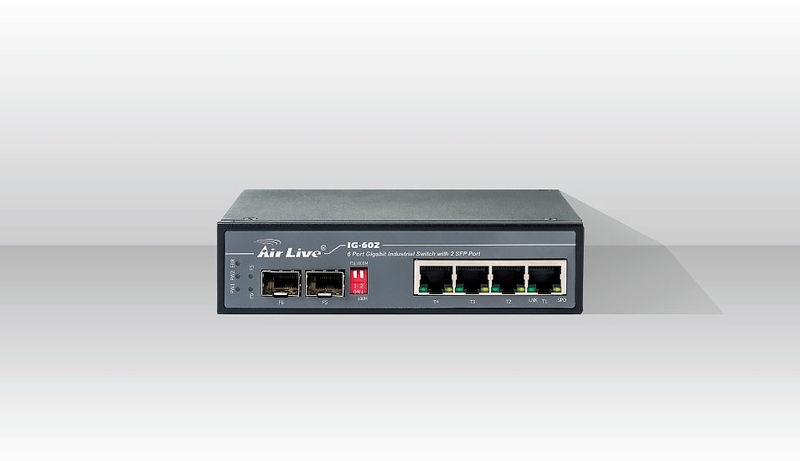 The IG-642POE is well suited for applications in deploying surveillance system, and securing control and wireless service in climatically demanding environments such as the factory or public transportation. 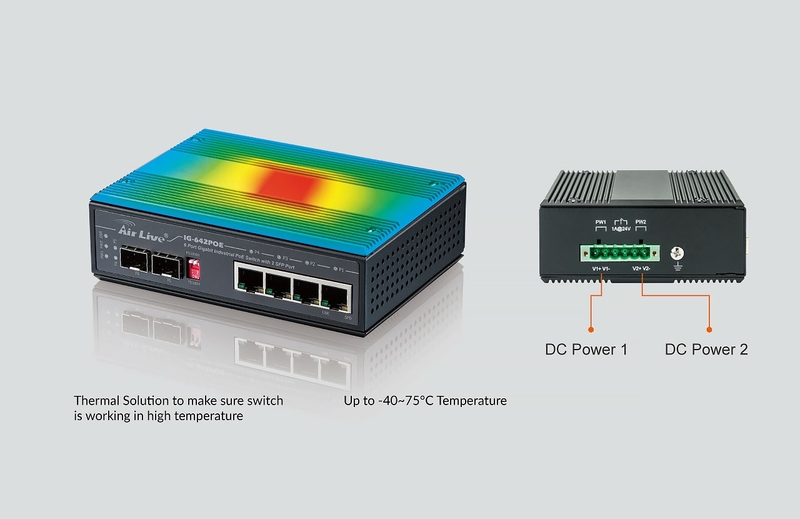 IG-642POE supports 2 DC Power inputs , it can have power redundancy. When the one of the DC power is fail , the Relay will be trigger. Though it can reminder users that Power is fail. 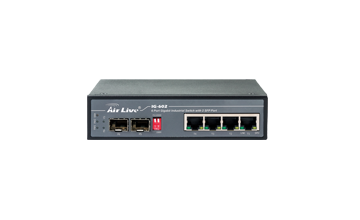 IG-642POE can work from -40°C ~ 75°C. It is ideally product for Harsh Environment.